Ansel Adams shot one of his great photographs from this spot. 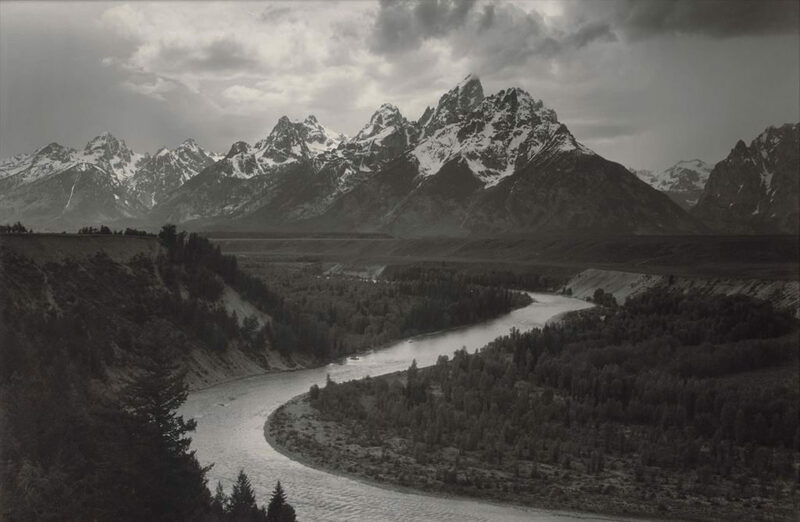 His image showed much more of the Snake River. The trees have grown significantly to block part of the view that Ansel witnessed. I shot this in mid-afternoon in hard sunlight. The colors in the scene were all washed out. Bus loads of people were wandering all about taking snapshots. I had to wait until the busses loaded up to get to a good vantage point. I was in no hurry I knew that I could still get a good black and white image, so I took my time. I shot multiple exposures focusing on the sky, mountains, and foreground trees. I blended the different exposures together to get this image. I am no Ansel, but I bet he did similar dodging and burning to create his image. For reference, below is Ansel’s original print. According to current research, this is one of nine mural prints of this image in existence and one of only six in this size, with print dates ranging from 1952 to 1973. This magnificent, extraordinarily rare example was probably printed in the early 1960s. In 2010, this photograph realized $338,500 in a Christie’s auction. 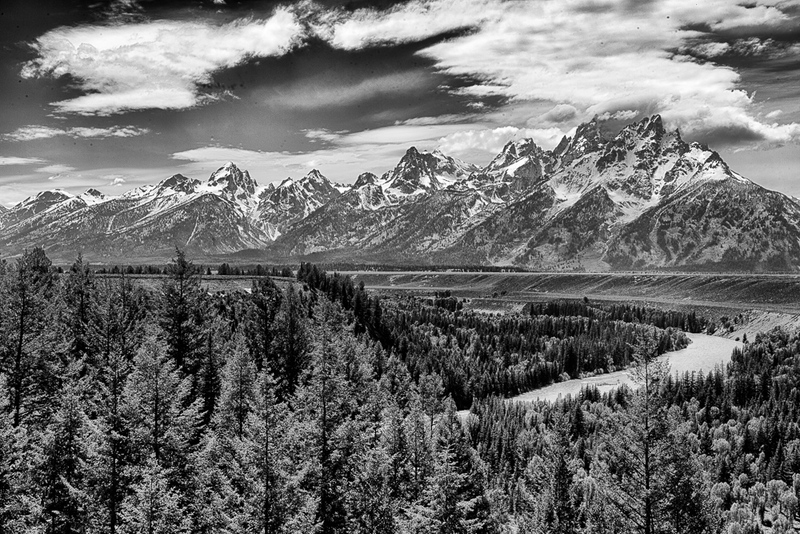 This entry was posted in B&W Photography, The Grand Landscape and tagged Ansel Adams, Grand Tetons, Mountains, Snake River on July 15, 2017 by kgrafphoto.